Tomasz "I've travelled to Morocco on a couple of occasions but this was my first time visiting the the north. I thoroughly enjoyed this tour and all of the great sightseeing that was included in the trip itinerary. The group I travelled in was great, really varied with some Aussies and Europeans and a couple from the US too. Our guide was brilliant, he gave us lots of advice when visiting the places incl..."
Start and end in Casablanca! 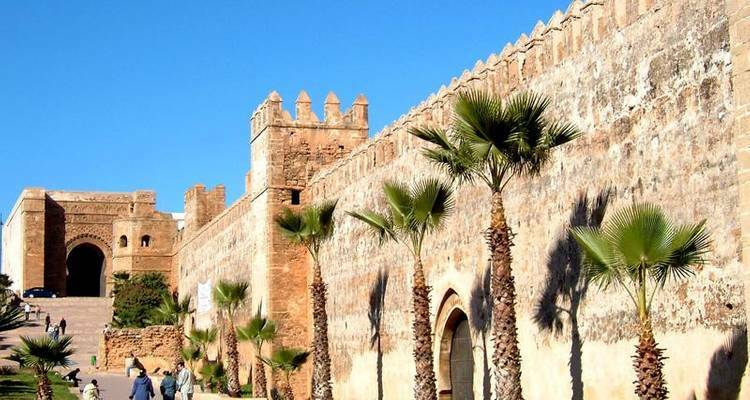 With the in-depth cultural tour Morocco on a Shoestring, you have a 8 day tour package taking you through Casablanca, Morocco and 6 other destinations in Morocco. 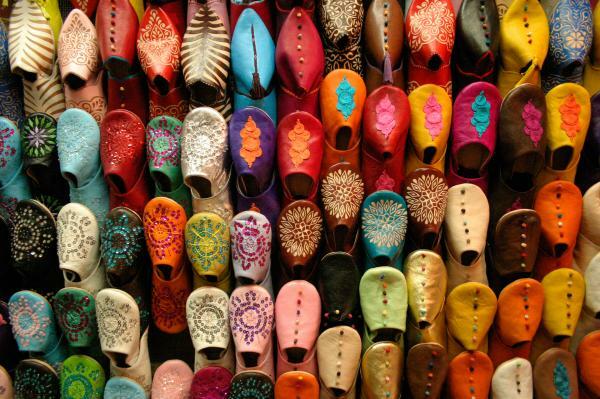 Morocco on a Shoestring includes accommodation in a hotel as well as an expert guide, meals, transport and more. I liked the tour overall, but there were too many shopping places we had to stop (stop too long). The hotels lacked adequate meals just the same mush every day and except for one no egg station... The hotel in Marrakech checked us in after 1800, and the room hadn't been cleaned or made ready from the previous guests. Wonderful ... Loved Morocco ... Would go back in a heartbeat ... Loved it all. November 2017. Dear Barbara, Thank you for taking the time to get back to us with your feedback, we appreciate all feedback, good and bad and recognise that this helps us to improve out tours for future travellers. I’ve responded to a couple of the points you raised below to hopefully explain things a little from our side. - We were dismayed at the outset to receive no information about the logistics and particulars of the tour when we arrived at the hotel in Casablanca. Our itinerary said "dinner," but nothing more. The hotel tried calling the number on itinerary, but that phone was turned off. Many of us stood around, wondering what, where, when; we finally ate some dinner in the dining room and retired, having heard nothing from the tour guide. - I’m sorry that you weren’t given more information on arrival in Morocco. 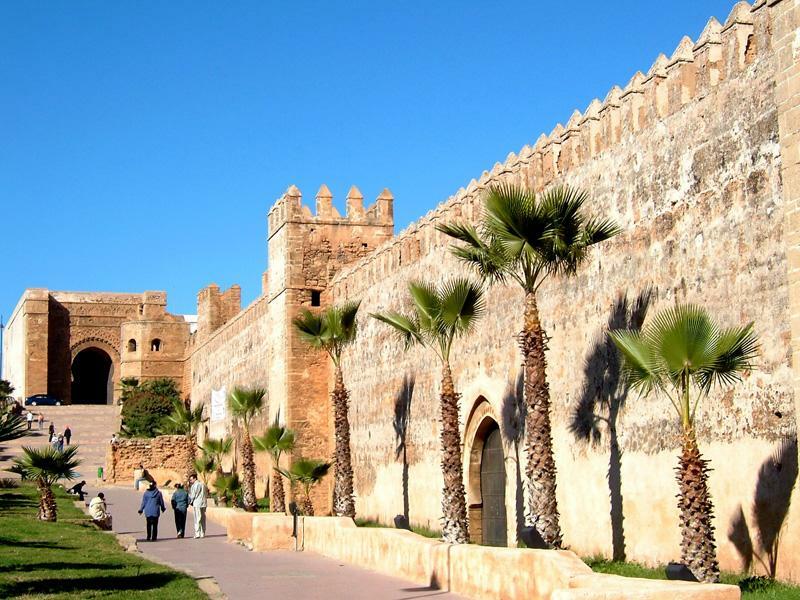 We do provide detailed tour notes in advance of arrival in Morocco and it’s quite normal for no further itinerary to be given on arrival as we recommend downloading the tour notes prior to departure. We don’t set a specific time for dinner, as we have people in the group arriving at various different times during the day and evening. So, this is more a free evening, just with dinner included in the hotel. We’ll look to explain this a bit better in the itinerary. I realise we don’t list the individual pickup times in our tour notes, this is intentional as this could cause confusion throughout the tour if the times do need to change for any reason and the tour guide should be updating the group at the end of each day of the tour with the start time for the following day. Lack of information plagued us for the entire tour, and when fellow travelers asked questions, all were met with irritable responses from our guide, who became more resistant to questions as time progressed. To alleviate the questions, it would have been so simple to post a schedule of the upcoming day's events and times at the hotel each evening. All of the tour guides we use in Morocco are fully qualified guides with a great deal of experience in leading tours such as this. I’m sorry if you felt that the tour guide was in anyway hostile towards you or your fellow tour mates, this is certainly not the impression we aim to give and our team in Morocco have already followed up with the guide regarding this issue. I do take your point on board that it would be good to have a departure time board in each hotel so that pickup times can more easily be found at the end of each day and this is something which we have looked into. However many hotels are resistant to this if we don’t have large numbers with them very regularly (as they don’t want to have numerous boards from different companies). Too much time was spent on the bus with promises of free time, but some days no free time at all. I am furious that we were subjected to pre-planned and supposed tours of ceramics, rug and leather factories, when they were in fact horrendous, hard-sell, pre-arranged opportunities for the guide or tour company to get commissions. On a tour such as this there is always going to be a fair amount of driving which is unfortunately inevitable when trying to cover so much sightseeing in such a short amount of time. Generally on our group tours each day will be have very little free time apart from in evenings after the days touring has been completed and the majority of our clients do appreciate the full days which we provide them as this allows them to really maximise the time they have in the country. 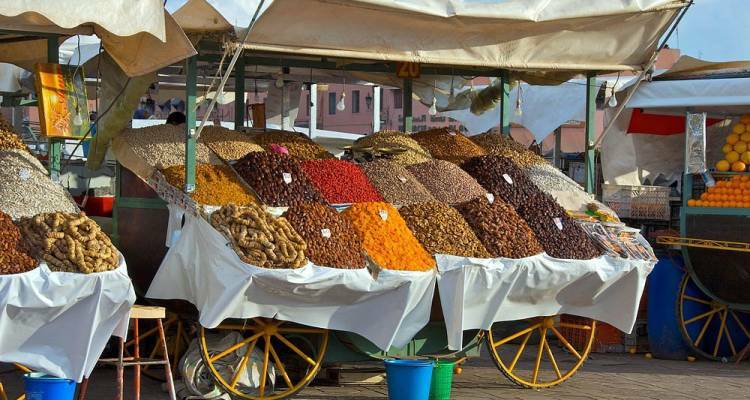 Shopping stops are also something which we have worked hard to strike a balance on throughout many years of operating escorted group tours in Morocco and other destinations. We realise that some people (like yourself) don’t like these types of stops, but equally we have found that many people do want to buy lots of souvenirs and appreciate being able to shop in a safe environment where little or no bartering is required. Also by taking our clients to these types of places they are often better assured of good quality products which unfortunately isn’t always the case when shopping in local markets. So, it’s a hard balance to strike to try to please everyone. We do aim to limit the number we include to those that feature local crafts and display some information about how the products are made. I am sorry that the tour didn’t meet with your expectations and that there were issues which you’ve felt necessary to bring to our attention, we do thank you for taking the time to do this and we’ll certainly be taking your comments onboard when looking at possible changes we can make to our tours in the future. Great value for money trip, got to see a big chunk of Morocco in a short time. This tour ends at midday at Diwan Hotel in Casablanca, Morocco and it's time to say goodbye to your new friends and take the included transfer to the Mohamed V Airport airport for departure. Please be aware the hotel is subject to change until your final documents are released. The first day of the tour generally starts from Diwan Hotel in Casablanca, Morocco and as the first day is just an arrivals day you can arrive at any time. At the terminal, keep your eyes open for the staff of Encounters Travel, as they pick you up from the airport and take you to the hotel. Keep in mind that check-in on day 1 is after 2 pm! Please note that the joining point is subject to change until your final documents are released. A 24-hour airport arrival and departure transfer service is included in this tour and will be scheduled according to your flights. Start and end in Casablanca. TourRadar only requires a deposit of $99 to confirm this Encounters Travel booking. The remaining balance is then payable 60 days prior to the departure date. For any tour departing before 25 June 2019 the full payment of $620 is necessary. No additional cancellation fees! 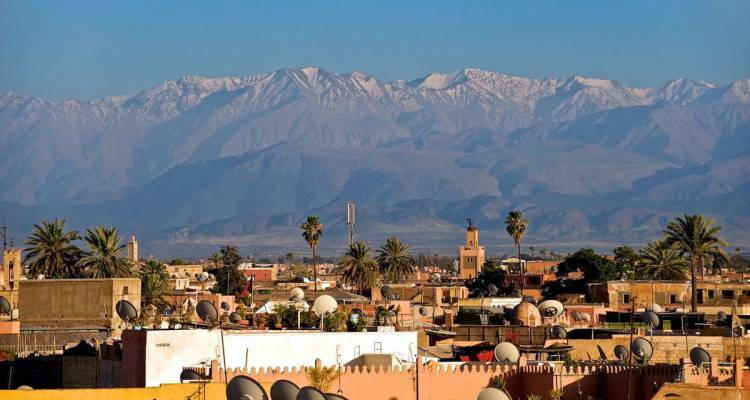 You can cancel the tour up to 60 days prior to the departure date and you will not need to pay the full amount of $620 for Morocco on a Shoestring, but the deposit of $99 is non-refundable. If you cancel via TourRadar the standard cancellation policy applies. Covering a total distance of approx 885 km. TourRadar does not charge any additional cancellation fees. You can cancel the tour up to 60 days prior to the departure date. If you cancel your booking for Morocco on a Shoestring via TourRadar the standard cancellation policy applies.